A new study published in Nature Communications suggests that the omega-3 fatty acids found in fish oil supplements may be beneficial in reducing the long-term risk of psychosis. Researchers analyzed 81 participants between the ages of 13 and 25 years old who were identified as having a high risk of developing psychosis and schizophrenia. Forty-one participants were given a daily dose of fish oil over a three-month span; the remaining 40 were given a placebo. Researchers followed up with and monitored participants for an additional 12 months following the three-month treatment or placebo period. Of the original 81 participants, 76 completed the study. Results indicated that only two out of the 41 participants who took fish oil developed a psychotic disorder. In comparison, more than 25% of the participants in the placebo group (11 out of 40) developed a psychotic disorder. Researchers followed up with participants an additional seven years after the study. During this period, the majority of participants who took fish oil during the initial three-month intervention period still did not show signs of a psychotic disorder. Since the initial intervention period, less than 10% of the participants who took fish oil have developed a psychotic disorder. Furthermore, researchers indicated that the only limitation to the study is that the sample group of participants they gathered was small, which restricted them from any further analysis. Researchers hope the study may lead to alternative treatments for psychosis in place of antipsychotic medications. In 2012, fish oil was the most popular natural product used by both children and adults in the U.S. According to the National Institutes of Health, Americans spend about $1.2 billion each year on fish oil supplements. Amminger, G.P., et al., “Longer-term outcome in the prevention of psychotic disorders by the Vienna omega-3 study,” Nature Communications August 11, 2015; 6, doi: 10.1038/ncomms893. 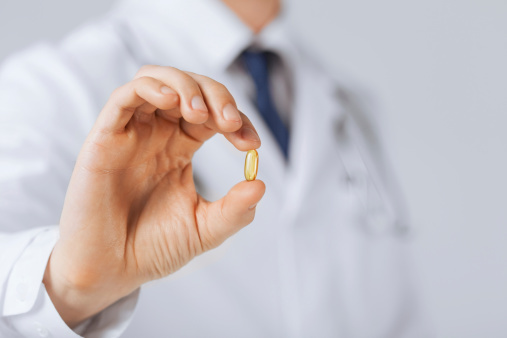 Lam, P. “Can fish oil prevent schizophrenia and other psychotic disorders?” Medical News Today web site, August 14, 2015; http://www.medicalnewstoday.com/articles/298178.php.